Cauliflower chili fry is an easy to make, delicious snack. 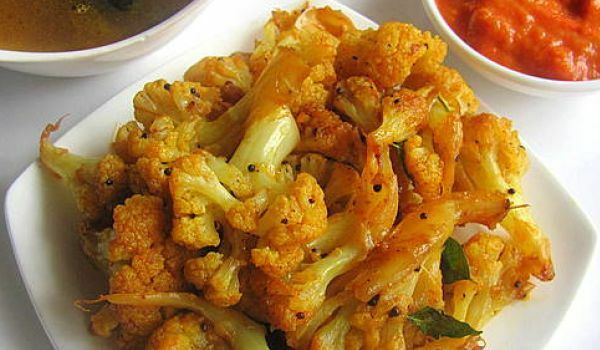 Learn how to make/prepare Cauliflower Chilli Fry by following this easy recipe. Mix all the ingredients listed for batter, to make a thick paste. Add cauliflower to this paste, mix well and deep fry the florets. Keep them aside. Heat oil in a pan and light fry the curry leaves. Add in green chilies and curd. Then, add cauliflower, mix well, and serve.